Full steam ahead… It’s kind of a weird saying, but it fits for us right now. Both courses are open. There is only one temporary green (10 South) that remains in all 36 holes; all 36 holes will be open by the end of the week. Carts are allowed on the South course right now and likely to be going on the North course by the middle of this week. With only 10 people on staff right now (including myself), we are definitely very busy trying get both courses playing as normal as possible. 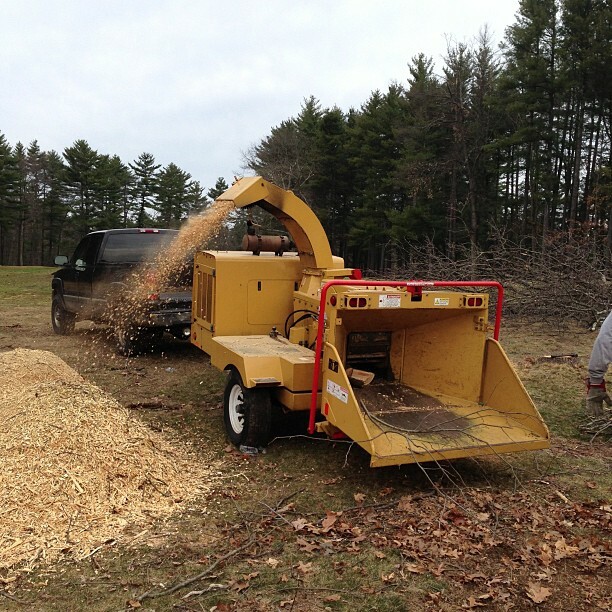 Tree cleanup is being done on 7 and 17 North; 6 and 10 South this week. Greens have been cut and rolled once on both courses and will be cut at least once more this week before the weekend. Fairways, tees, and approaches will also be cut for the first time this week. We are very happy to report that even with all of the snow this winter, we had very little snow mold formation on short cut turf. You may see some small gray patches in the fairways, but this will grow out very quickly once we begin mowing the turf on a regular basis. Our sand cleaner will begin cleaning bunkers by the end of this week and will work through the rest of this month (please click here for a more detailed explanation of the sand cleaner). We are very excited for another great season here at Stow Acres! Please stay tuned into the blog as I will continue to post course updates. See you on the course! Categories: A Word from the Superintendent..., On the Course | Tags: april, golf, trees on golf course, turf, turfdiseases.org | Permalink. 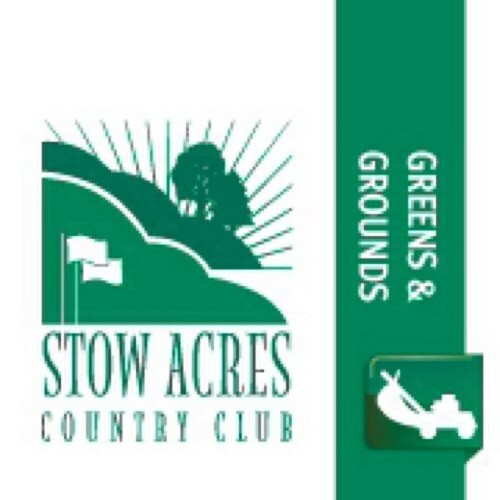 I am the Golf Course Superintendent at Stow Acres Country Club located in Stow, MA. I am entering my sixth season as the course Superintendent. My staff and I are very excited to begin this season as we are continuing to make changes to this wonderful facility. I graduated from the University of Rhode Island in 2006 with a Bachelor's Degree in Environmental Horticulture and Turfgrass Management. Before Stow Acres, I did an internship at one of the country's top 100 courses, The Stanwich Club located in Greenwich, CT. I worked as an Assistant Superintendent at Oakley Country Club located in Watertown, MA and Stow Acres Country Club South Course before becoming the Superintendent at Stow Acres CC. I am married to my soul mate and we have two incredible kids! My course counterpart, Kingston, loves riding shotgun in the cart. In my downtime I enjoy writing for and managing www.iturfapps.com. Hope you enjoy the blog! Click the calendar for the turf schedule. What’s wrong with the sand traps?!?! Enter your email address to subscribe to this blog and receive notifications of new posts by email. Your email information will not be sold or given out to any other company.